Download and extract the driver files. Run setup within the extracted driver folder to install. For wireless manual installation needed do read the installation instruction carefully. Since the driver file didn't contain setup file to install the wireless driver. We have to install it manually via device manager. First extract the driver first. 1. Open device manager by click start and select run. 2. Type DEVMGMT.MSC and press Enter. 3. Under Network adapter or Other device, you will see "network adapter" marked with yellow. 4. Right click on it and select update driver. 5. No to connect and select ADVANCE. 6. Click browse and point to the driver folder we extracted earlier. 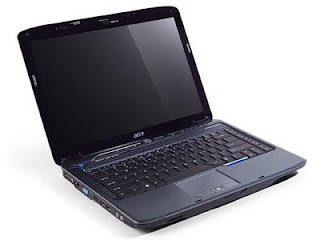 Thanks for reading Acer Aspire M1200 M1201 M3200 M3201 M5200 M5201 XP Drivers. Please share...!